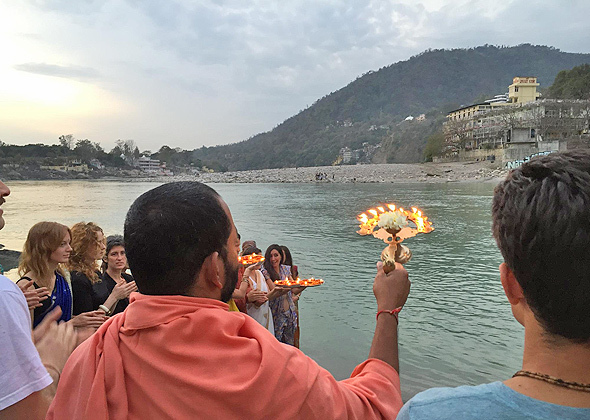 Shiva Yoga Peeth offers Yoga Alliance International 200 Hour Yoga Teacher Training & 500 Hour Yoga Teacher Training in Rishikesh & Dharamshala, India. 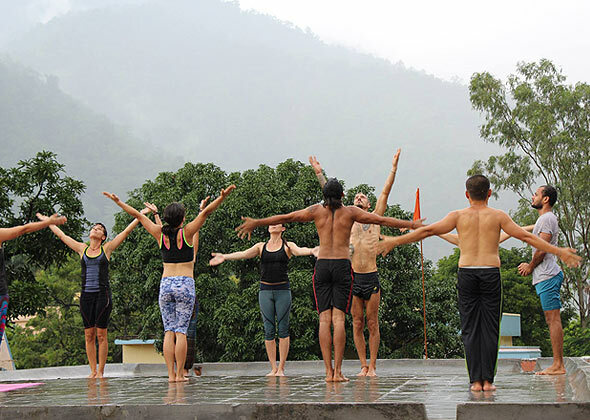 By following ancient yogic traditions, Shiva Yoga Peeth has bome a center of excellence in India for the promotion and growth of spirituality and yogic philosophy across the world. 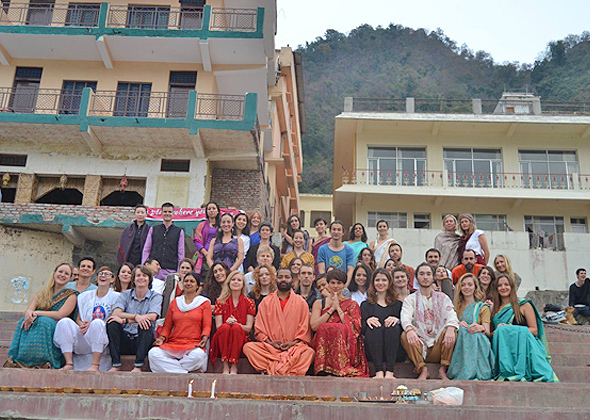 The worldwide spiritual and yogic activities of the institute have benefited thousands of people across the globe. People who are associated with the organization are persistently doing research work for the empowerment of yoga and allied science. Shiva Yoga Peeth offers several Yoga Teacher Training courses in all styles of yoga. Elaborate course structure helps students to learn and practice several relaxation techniques defined in the ancient yogic philosophy. Our Yoga Teacher Training course instructor, Swami Ji, has a wide range of yoga knowledge from many countries and he is continuously furthering his knowledge. Swami Ji has also written books on basic yoga for the betterment of others. The effectiveness of the yoga teacher training courses and the progress of the students is based on the physical and intellectual capability of each individual as well as the standard of living of the students. To assist in the success of each student, Shiva Yoga Peeth provides good accommodations with all the amenities needed according to the climate and asks that students be fully devoted and obey all guidelines and disciplines of the yogic path during their courses. Each student will be staying in Hotel Divya. The Hotel is designed in such a manner that one can enjoy the enchanting panoramic view of the Holy Ganges, surrounded by the lush Green serene hills from Ganga view room. The accommodation represents an enticing mixture of elegant Indian styling and a relaxed, comfortable home away from home aura. Each student gets a private room with attached bathroom. Students will experience warm personal service, clean, airy & sunny rooms equipped with all the modern facilities, along with the old world charm intact. The rooms have graceful architecture that fits in perfectly with the lovely backdrop of the hills and the greenery all around flows wonderfully into the interiors, ensuring comfort, service and relaxation to our students. Each of the rooms are spacious and delightfully decorated including Air Con. The rooms are silent and peaceful so as to relax and meditate. Dawn river, green mountain makes you hear nature’s enhancements. All Rooms have been exquisitely done-up in vibrant colours with all amenities of modern living. As a center of learning, we have boundaries and criteria with specific rules and regulations. All students are advised to follow our rules and regulations during the course. Every student is requested to fulfill the registration formalities and submit the required information and course fee before the starting of the course. Students can pay in Indian Rupees or in Dollars , Euros or Pounds. All questions in class must be related to the course syllabus. It is beneficial to the student not to engage in poses such as shoulder stands, head stands, viparitakarani and kapalbhati, uddiyan bandha, etc. during monthly period time. All students are instructed to come to the class at least 5 minutes before the scheduled timing of each class. All Teacher Training students are requested not to join in any other educational or hobby programs during their course with Shiva Yoga Peeth. Every student is requested to strictly follow the diet & guidelines as suggested by School. This is to help you gain the best experience possible. Please avoid spicy, non-veg meals outside of the course, as this is strictly not allowed within the ashram for the duration of the course. Students need to have only Sattvik food. We follow ancient yoga approach in ashram so the TTC is designed in such a way that the ethical practices are ingrained automatically in students. We follow the ancient “Gurukul System”. You will find the fundamental difference in the understanding of the yogic path at Shiva Yoga Peeth. So the traditional teachings will differ from that of the West. After all, that is why you came to India right, to learn the traditional aspects of yoga. Decent and dignified behaviour is expected from all the students. Loud speaking, uttering indecent words, smoking and alcohol is strictly prohibited inside the school premises. Regularity and punctuality is to be maintained strictly. Discipline is an integral part of the training program. All students have to follow the discipline of Shiva Yoga Peeth to fully experience the yogic way of living. Any kind of misbehavior with other students or teachers will be firmly assumed as breaking the code of conduct of our institution. The effectiveness of the course and the progress of students is based on the physical and intellectual capability of each individual as well as the standard of living of students. Hence, students should be fully devoted and obey all guidelines and disciplines of the yogic path. Any assistance which is needed by students will be discussed and offered, if possible. Please, use your class time efficiently and save all personal discussions for your spare time. At Shivayogapeeth – We respect all religions. However, religious discussions in a comparative way are not allowed in the institution as this may interfere with your yoga practice. Have an open mind and open heart. You are coming to a different country. The culture will be different, the people will be different. Please have an open mind set and accept the changes. Remember that the magic happens outside of your comfort zone. An intensive training is challenging both physically and mentally. Muscles you’ve never used before might scream at you. You might find yourself suddenly crying for no apparent reason in the middle of morning meditation. It happens because of the toxins which are released from the body. Whatever you experience, be they physical, mental or spiritual, keep an open heart. Give yourself compassion, and permission to feel how you feel. When you enrol for our TTC, you affirm that you abide and comply these rules with full knowledge and understanding.